As a fitness guru I love working out, but ironically hate the gym. I used to think that running was the devil in disguise. Running on a treadmill to me is torture. I don’t understand the concept of ruining in one place and getting nowhere? No matter how hard I tried I could not run on a treadmill longer than 30 minutes. I found myself concentrating on the screen and waiting for the calories burned to hit a satisfactory number—300 and I was done. I started to use running as more than just a tool to help me reach my fitness goals, and embraced it as a challenge instead. I tried running outside and found it to be peaceful, an avid reliever of stress and more importantly fun! As a beginner, I knew nothing about proper form or what type of shoe was appropriate. 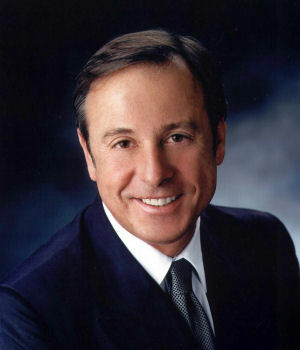 So like any curios woman, I sought expertise and found Dr. Navarro. I wanted to know how to avoid common beginner mistakes, such as cramping, losing my breath, and over exerting energy. Here is what I found. No matter what time of year, you need to determine what type of runner you are. Can you run long distances? Can you run uphill? Are you a scenic runner that uses your surroundings for inspiration? Whatever the case where is just as important as the how. Let’s face it running can get boring fast! So use scenery to inspire you to keep going. I found music to be just as important as scenery. If I am running near water, I don’t even use music. It actually becomes distracting after a while and it is hard to concentrate on a steady pace. I find myself running to the beat of each song, rather than creating my own pace to follow. If you are a slow runner, put together a playlist that will help you keep that kind of pace. House music for example, although motivating, may cause you to over extend your stride. Pick something more low key until you can increase your pace. According to Dr. Navarro it is imperative to stretch for at least 5-10 minutes before running, and make sure you’re hydrated. The main cause of leg cramps is dehydration. According to Dr. Navarro, if you are not used to running long distances, running for an extensive period of time can cause veins to swell, and spider veins to develop. To avoid spider veins, make sure you have a supportive shoe. If you are not in shape to run for a long period of time, start with shorter distances. He recommends concentrating on taking slow, deep breaths. Rapid, shallow breathing does not allow you to get the oxygen you need. Also, try to land on your left and right foot alternatively when exhaling, so the strong impact of landing will be evenly distributed through both sides of the body. Dr. Navarro explains that the type of running shoe you need will depend on where you run (sidewalk, nature trail, etc. ), but whatever the setting, be sure to purchase sneakers that are specifically designed for running. For running on the NYC sidewalk, pick a shoe with extra cushioning on the heels and balls of the feet, since it’s a hard surface that will cause pressure on the legs without proper support. Also, make sure the arch in the shoe matches the arch of your foot. For example, if you have flat feet, get a shoe with a low arch. 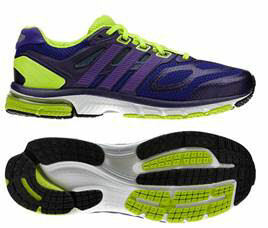 Adidas and Nike both have a range of running shoes for different terrains and foot types. I would advise going into a running store and getting your foot measured and running style analyzed to find the perfect shoe. Also, be aware that unsupportive sneakers hitting hard surfaces can put pressure on the veins, causing them to swell, resulting in spider veins appearing on the leg. BIOM EVO Racer Lite (MSRP: $130): With a relatively low heel-toe drop (5mm), this lightweight shoe is flexible, highly responsive and provides enough firm cushioning in all the right places for a smooth ride. Its performance textile uppers allow your feet to breathe during up-tempo runs and races–A great option for the athlete looking for a more natural running experience. BIOM EVO Trainer Plus (MSRP: $180): A slightly higher drop (7mm) than the Racer, the Trainer provides additional stability for athletes on long training runs. The two-component (rubber / polyurethane) sole provides extra durability and protection for miles of pounding the pavement. Breathable yak leather uppers block out the elements and offer a subdued fashion-forward look. SUPERNOVA SEQUENCE 6 SHOES – $120.00: Great for an outdoor run in the park, this shoe molds and moves with the foot to ensure a smooth and comfortable ride. It is designed for experienced runners, as well as those just beginning. The heel sports extra cushioning to absorb impact from strides and eliminate jolts to joints. ADIWEAR™ outsole technology is designed into the shoe to ensure the runner receives optimal grip even in wet conditions. ENERGY BOOST SHOES – $150.00: With the Energy Boost tennis shoe, energy exerted in a run is returned to runner to increase endurance. Great for training, see your distance easily increase and be motivated to sign up for that race you’ve always wanted to do. ADIZERO ADIOS BOOST SHOES – $140.00: Designed for durability and running in less than desirable conditions, these sneakers eliminate any excuse to go run when the weather turns this winter. 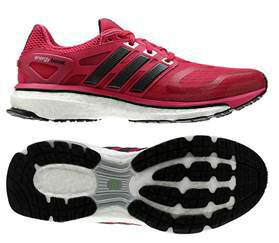 Adizero Adios Boost features the same energy-returning technology as its Energy Boost sister. It also features the QUICKSTRIKE outsole to decrease weight and extra overlays to increase support and durability.